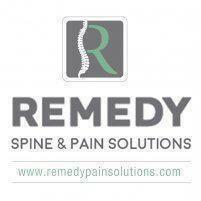 Some of the most exciting and beneficial treatments we offer at Remedy Pain Solutions are regenerative therapies, including stem cell injections. Many patients are not exactly sure what stem cells are, where they are from, or what level of benefit they are capable of providing. They may be living with a painful musculoskeletal injury or degenerative condition, but are interested in more natural treatment options than medications or surgery. By utilizing your body’s own healing mechanisms, we can actually use this injection therapy to heal damaged tissues rather than masking the pain with medications. Stem cells are your body’s undifferentiated cells, meaning they have the amazing capability to constantly renew themselves and transform into the many different cell types that your body needs. Your body uses these stem cells to replace other cells with more specialized functions, such as muscle, cartilage, or bone cells. This allows for significant regenerative potential, and is great news for those patients with musculoskeletal injuries who are seeking non-surgical treatment options. One of the first questions that patients typically ask us at Remedy Pain Solutions is, “what does bone marrow have to do with all of this?” Bone marrow is the soft, spongy tissue found in the center of your bones which is responsible for producing red blood cells, white blood cells, and plasma cells. As this is the production center of these blood cells, this is where we find their respective immature cells called stem cells. Because the bone marrow of the pelvis holds the greatest concentration of stem cells, this is typically where the cells are extracted. Once the cells are extracted, they are filtered and spun down in a centrifuge to separate the high concentration of stem cells from other materials collected. This sample is then injected into the injured joint or body part, where the cells can go to work differentiating themselves into cells unique to their new environment and effectively healing the tissues. Stem cell therapy is a great option for those who are looking to avoid surgery, or those who have been told they are not a candidate for surgery. This treatment is proven to have far fewer potential side effects compared to steroid injections or surgical intervention. Because the tissue is your own, there is no chance of rejection or allergic reactions. If you or somebody you know is suffering with a painful musculoskeletal injury, come in to Remedy Pain Solutions located in Marina Del Rey, California to discuss whether stem cell injection therapy is the right choice for you.